Looking for an inexpensive way to get started in home automation? Take a look at the UZB Z-Wave USB Stick. We gave the UZB stick a try and were pleased with it's performance. We installed it on a laptop and downloaded the openhab software that is available for free. The software can be downloaded from http://www.openhab.org. The UZB stick was found by the operating system immediately upon insertion. We are running Ubuntu Linux for our test so software drivers were not necessary. If you are running windows however you can find the link to the latest drivers on http://www.thesmartesthouse.com. We downloaded the openhab software and configured the UZB as indicated in the manual that was provided in the box. Once we configured the stick and restarted the software we were able to include 4 devices to test our UZB. We installed one GE relay switch, two Zooz Z-wave dimmers, and a Qubino Weather station. At first 3 of the devices were not recognized but it turned out to be the newer devices not having been implemented on the openhab stable release. Once we downloaded the snapshot build we were able to get the devices included. Communication to all 4 devices was a success. We have tested the device thoroughly for about three weeks now and have not had any failures on communication. The closest device to the hub is about 15 feet away and the farthest is about 30 feet. The inherent nature of Z-wave uses each device as a mesh network to get the best route of communication back to the hub. Our hurdle throughout the test was actually getting to understand how the openhab software works and setting up the devices there. It is not a project for the faint at heart to understand and get openhab working. If you want something simpler, you may want to look into the other software titles mentioned below. Some of these titles offer different interfaces that may suit your need better. Our goal was to build a low cost system that would allow us to use and integrate as many devices into one hub as possible. The Openhab system is touted at being just that. While not the fault of the UZB device the openhab system has a steep learning curve but continues to improve and allow integration of more devices as it progresses to the future. The UZB device stood up to the test and functioned better than we expected. Zwave.me states that the UZB firmware offers several extensions and enhancements over its competitors such as backup and recovery function including network topology, optimized transmitting queue handling to speed up transmitting process, firmware update from the OS level in the field, trusted platform module applying strong encryption, extended wakeup notification, and handling to extend battery life time of battery operated devices in the network. All these features and at a quarter of the price of competitors like the Aeon Labs Z Stick. The only feature we found missing was the self-contained inclusion that makes it simpler to include devices into your z-wave network. Other than that the UZB supports -Z-wave backup and restore that is a plus against the Aeon Labs unit. One of the things we liked most about the UZB stick is that it is so versatile that you can run it on any hardware given the software is available. 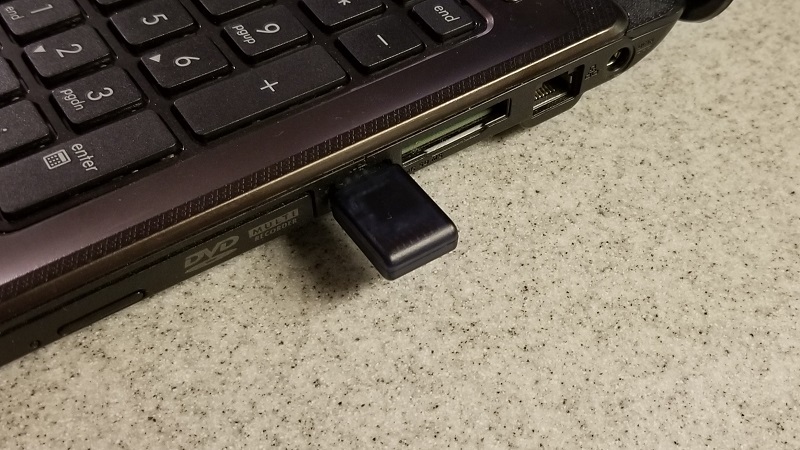 For instance you can build yourself the exact system we built on a laptop on an inexpensive raspberry Pi device that currently runs at about $35.00. The Raspberry Pi can be set up to be accessed via VNC so there is not even a need to have a designated monitor and keyboard for the device. Here is the UZB attached to a Raspberry Pi mounted on the wall. The cover was 3D printed using a design by "0110-M-P" allowing for it to be wall mounted, you can find it here if interested. 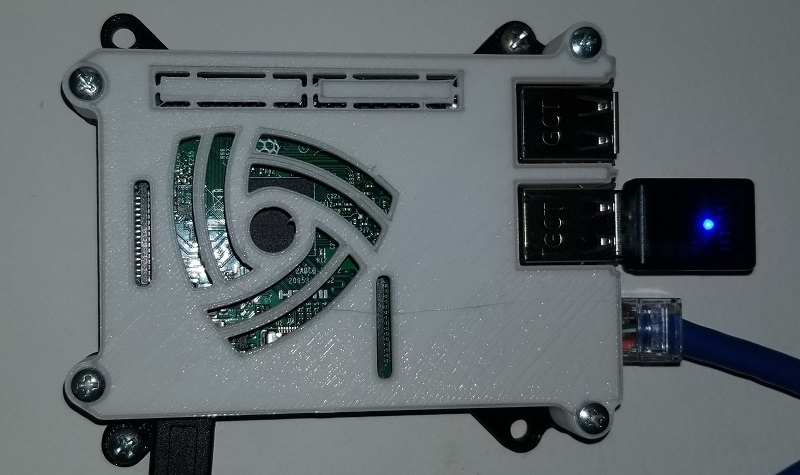 While the UZB stick performed well and was easy to install, it was a bit challenging to use the open source software openhab2. The UZB uses the Sigma Serial API protocol just like the more expensive Aeon Labs Z-stick only at a fraction of the cost. The UZB by zwave.me proved to be a great little device at a great price. Get your very own UZB Z-Wave Stick at The Smartest House.